Guess who was spotted sporting a cropped top, and fringe mini skirt that bared midriff as she made her way into a Los Angeles boutique? 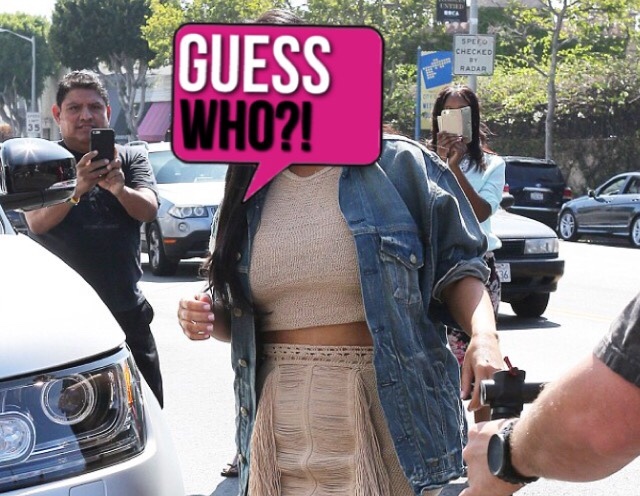 Hint: She recently announced a new addition into her family. It's Kim Kardashian! The reality TV star was spotted arriving to her DASH boutique on Melrose Avenue in Los Angeles. SEE MORE: KIM KARDASHIAN AND KANYE WEST ANNOUNCE BABY #2. Kim K wasn't alone. Her sister, Khloe Kardashian shortly arrived to the popular store, as fans gathered around to get a picture of the stars.